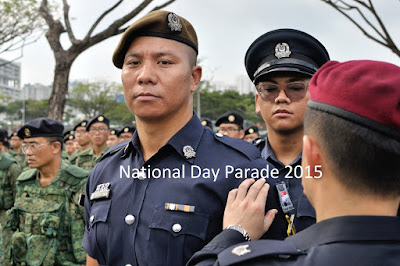 Planning to photograph the National Day Parade 2015 Mobile Column rehearsal today? 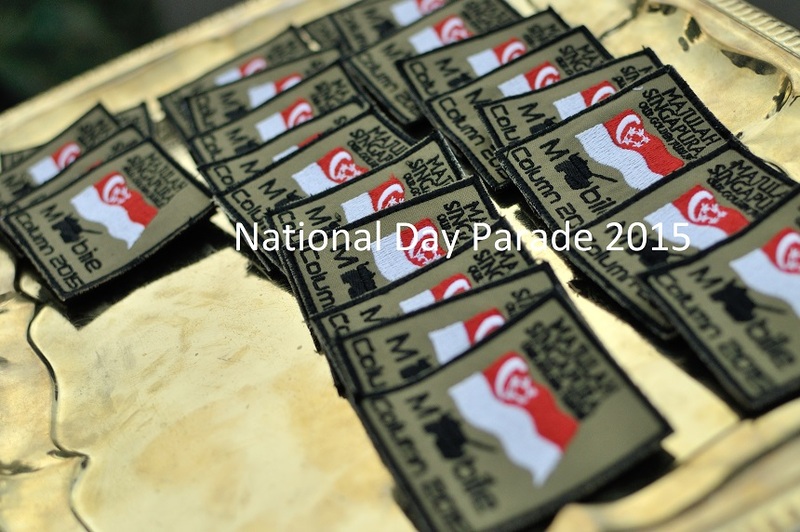 Look out for the commemorative Golden Jubilee Mobile Column Patch (above) worn by all NDP 2015 Mobile Column participants. The patch that adorns the uniforms of Singapore Armed Forces (SAF) and Home Team personnel from the Singapore Civil Defence Force and Singapore Police Force is special because it marks one of those rare occasions (can't think of any other actually) when the same patch is worn by the SAF and Home Team. The Golden Jubilee Mobile Column patches were presented to the Mobile Column team last Saturday at their form-up point during a simple ceremony attended by SAF veterans and their families. 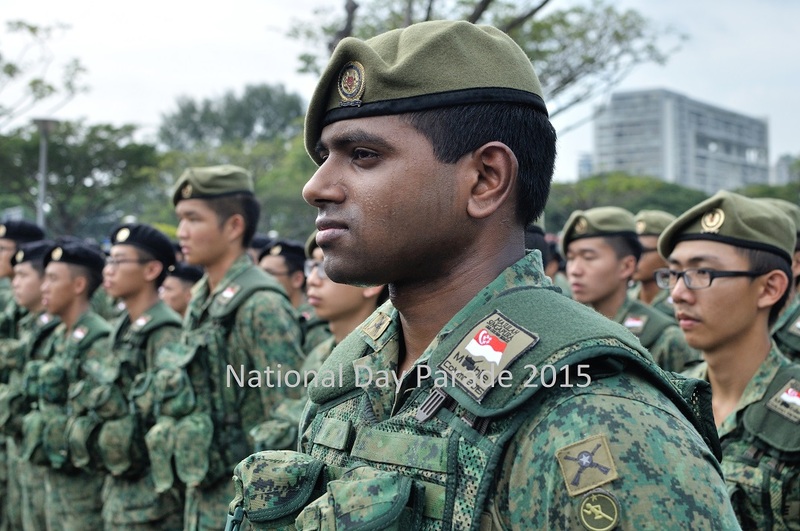 Some 170-plus SAF and Home Team vehicles are due to stage their first run to the Padang today following the road closures in the city centre from 12 noon. Many thanks to the NDP 2015 Media Relations Committee for these images.